Richmond Volleyball Club is proud to present our adult reverse co-ed quads volleyball tournament series. These seasonal (and often festive) events held throughout the year are a great opportunity for people to come in play in a new and unique way. Quads volleyball tournaments are offered in multiple divisions with competition levels for everyone and prizes given to the winners. 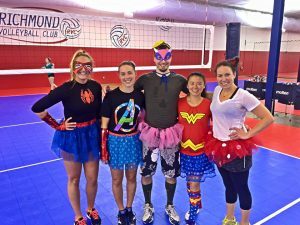 What is Reverse Co-ed Quads Volleyball? Reverse co-ed quads is four on four volleyball with two men and two women on each team. Play is on a women’s height net, and in addition, men must hit from behind the attack line and cannot block. Everything’s popping up quads! Take a break from the 6’s and sign up for this popular reverse coed quads volleyball tournament. Pop in to RVC, pop on the court and pop that ball over the net. We’ll have music and prizes, in addition to popcorn and soda pop! In short, it’s no poppycock: join the pop culture of quads lovers and you’ll be hooked! Play begins at 6:05 pm on Thursday, 1/17/19. Teams have 5 minutes to report to the court to avoid a forfeit. Teams must report for work assignments or their next match will be a forfeit. All play will be at Richmond Volleyball Club – Byrdhill. Cost is $100 per Quads team by December 30, 2018. $125 until January 14. 2 men and 2 women compete on each team. Men must hit from behind the 10 foot line and cannot block. All non-RVC members required to sign a waiver prior to play. Music, beverage specials and giveaways. Prizes for winners. Online Registration available with a credit card or use a paper form and email/mail form and payment to Richmond Volleyball Club (rvc@rvc.net). Register by January 14th. No registrations accepted after this date. No registrations accepted without payment. Payments processed upon receipt. Late cancellations are not eligible for refunds. Registration could close early if divisions fill. Teams accepted on a first paid, first accepted basis. Late registrations accepted on a space available basis. Divisions may be combined, changed or cancelled as needed. If you’re feeling lucky, sign up yourself and a few friends for this tournament. 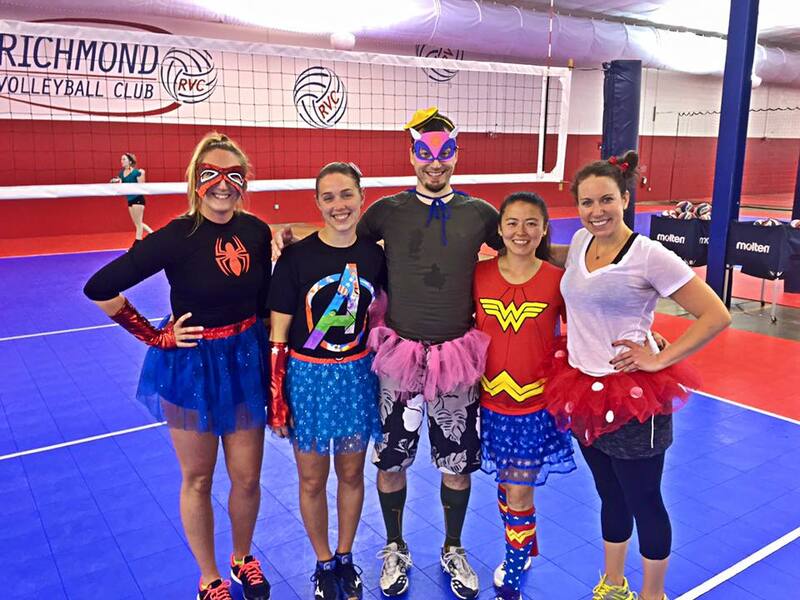 Reverse co-ed quads volleyball tournaments are played with 2 men and 2 women on a team. We’ll have music, prizes and pitchers o’ gold. It’s fast, it’s fun, it’s magically delightful. Sign up today! Play begins at 6:05 pm on Friday, 3/15/19. Cost is $100 per Quads team if you register by March 1. $125 until March 13. Online Registration available with a credit card or register with a paper form and email/mail form and payment to Richmond Volleyball Club (rvc@rvc.net). Register by March 14th. No registrations accepted after this date. Have a frightfully good time playing this reverse coed quads volleyball tournament for boys and ghouls. Costumes encouraged and we’ll pick a winner for best quad squad. Don’t be spooked! This tournament will be a treat for all! Play begins at 6:05 pm on Tuesday, 10/31/19. Cost is $100 per reverse coed quads team if you register by October 10th and $125 after the early registration period. Divisions include AA, A, BB & B. You may register with this form and email/mail form and payment to Richmond Volleyball Club (rvc@rvc.net). Registration will close October 29th or when full. Before you have your fill of turkey, have your fill of fun! Grab some hungry friends and try not to get stuffed while playing in this reverse co-ed quads volleyball tournament. Come on out and work up an appetite. We’ll have music, prizes and NO leftovers! Play begins at 6:05pm on Tuesday, 11/26/19. You may register online with a credit card. You may register using this form and faxing (to 804.358.1018) or mailing form and payment to Richmond Volleyball Club. Registration closes November 18th or when full. Raise a glass of cheer and celebrate the holly daze at RVC. Take a moment from the hustle and bustle to share good times with good friends. Get all your elves together and jingle your way over to this reverse co-ed quads volleyball tournament. Play is on a women’s height net and men must attack the ball from behind the 10 foot line. We’ll have music, prizes and good cheer. Tis the season to enjoy a little holly, jolly volleyball! Play begins at 6:05 pm on Wednesday, 12/11/19. 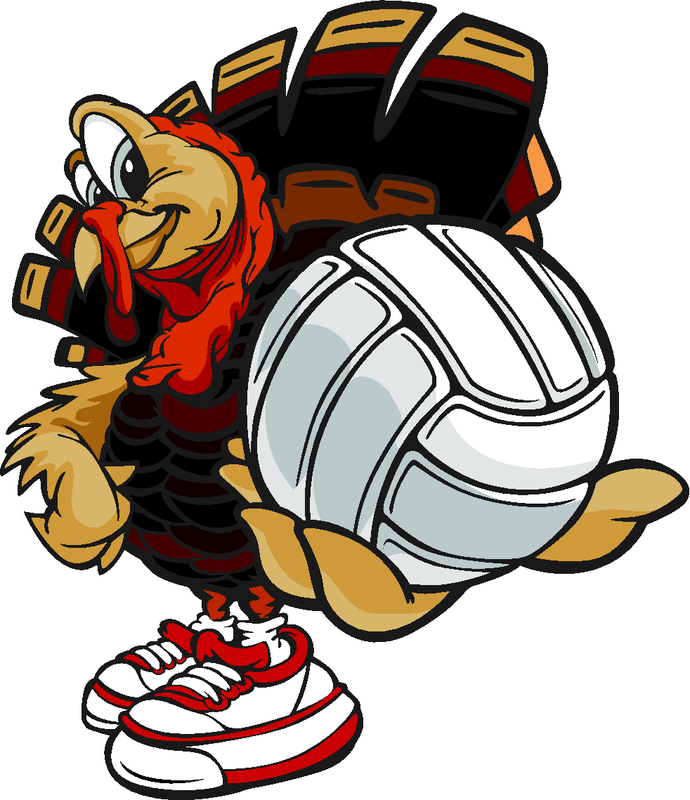 Cost is $100 per reverse coed quads team if you register by November 15th and $125 after the early registration period. Register here or download a paper copy. You may register with this form and fax (to 804.358.1018) or mail form and payment to Richmond Volleyball Club.